After posting a range of starship mats designs back in October, we consolidated your feedback and followed our gut a little as well. 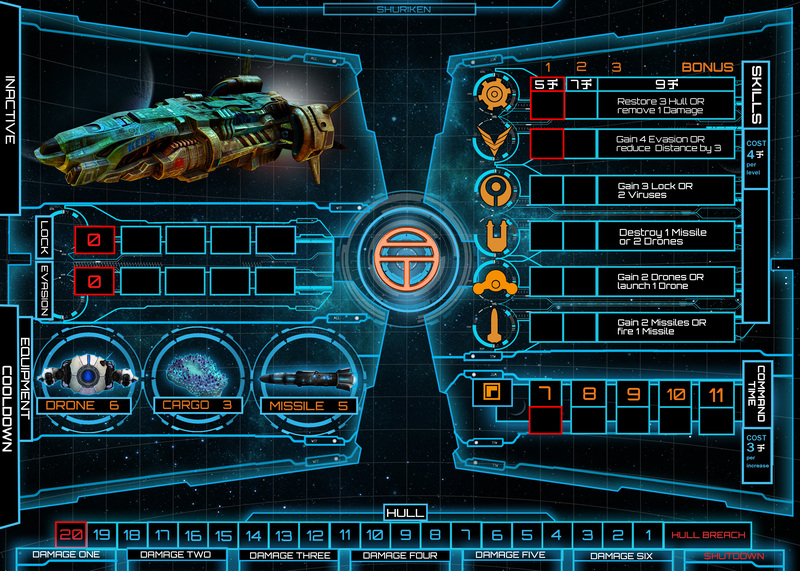 As mentioned in the previous post we wanted the design to look like a user interface or HUD and be user friendly. Nothing is locked in. We would love to get your feedback on the look and feel. In the meantime, we’re going to play test this prototype’s usability.